Russell Galbut’s Park on Fifth development is beginning its move through the Miami Beach land use boards. First up, a hearing at the Planning Board on April 30. The application filing includes updated renderings and details on the operational plan, the area under the Planning Board’s purview. 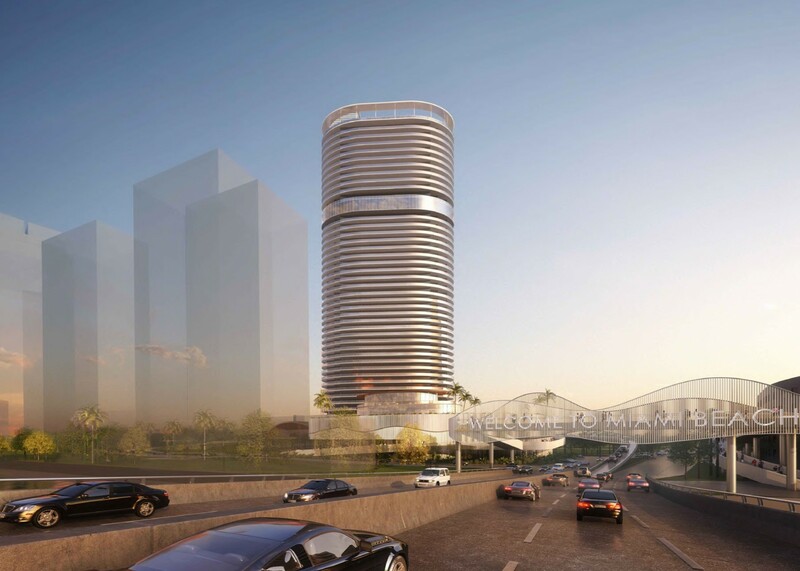 The private residential tower in the 500 block will include 337 units ranging in size from studios to four-bedrooms exceeding 2,300 sq. ft. The average unit size is 1,282 sq. 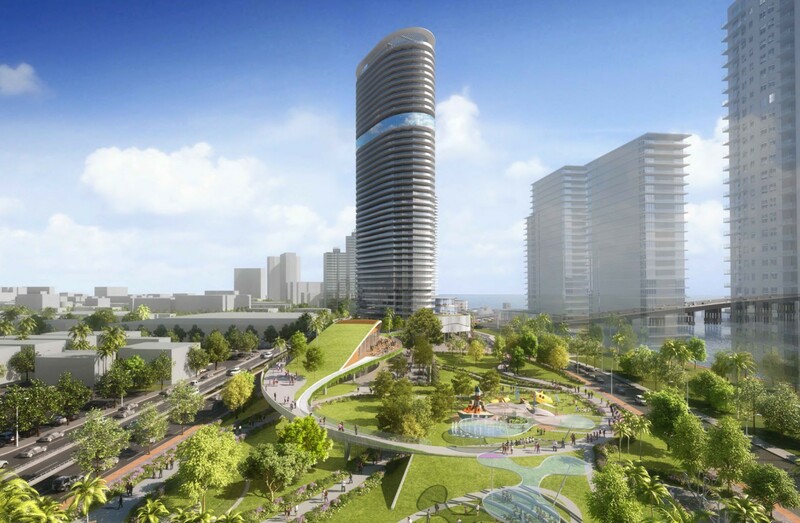 ft. City Commissioners approved the development to a height of 519 feet with 44 stories in exchange for a three-acre public park on the 600 block. The tower will also include a small lounge open to the public. On the 600 block, there will be approximately 13,000 sq. ft. of commercial space that is anticipated to be a mix of retail (approximately 7,120 sq. ft.) and small restaurants (5,870 sq. ft.). The commercial area will have “normal business hours” depending on the use. All outdoor seating at restaurants will close no later than midnight. The application notes, “No entertainment is proposed and all exterior music will be ambient in nature. This shall not apply to the City park portion of the project.” Combined, the “restaurant(s)/lounge” are anticipated to have 290 seats. The application notes there may be up to 50 employees in the commercial portion of the project depending on tenant mix. 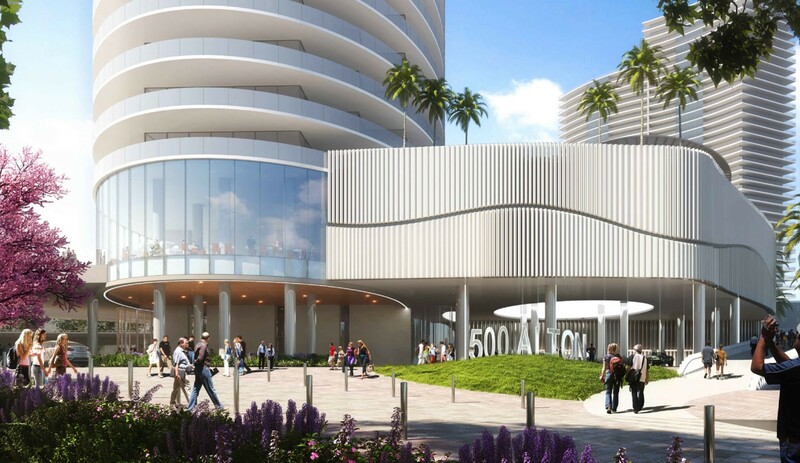 The 600 block is also where the public park will be built by the developer and then conveyed to the City of Miami Beach. In the 700 block, there is a surface parking lot for the Floridian condominium across the street. Pedestrian access, upon completion, will span the entire development site. Galbut will also build a pedestrian bridge over 5th Street connecting the baywalk on each side. The project is expected at the Design Review Board in May. That’s when we’ll see a lot more of what’s proposed. All the details on building and landscaping plans, operational plan, and traffic study can be found here.